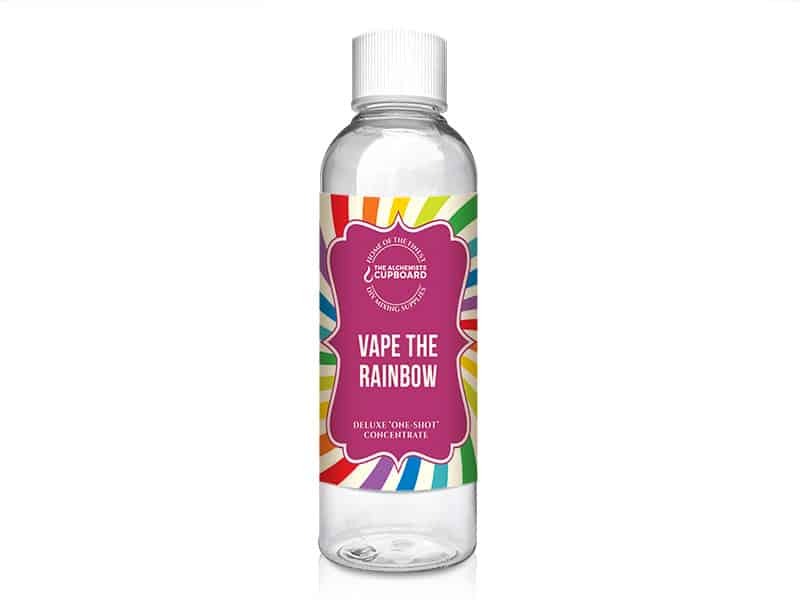 This is an E-Liquid Flavour Concentrate, designed to replicate our original “Vape The Rainbow” flavour, when mixed with the users desired ratio of VG/PG and nicbase (if required). 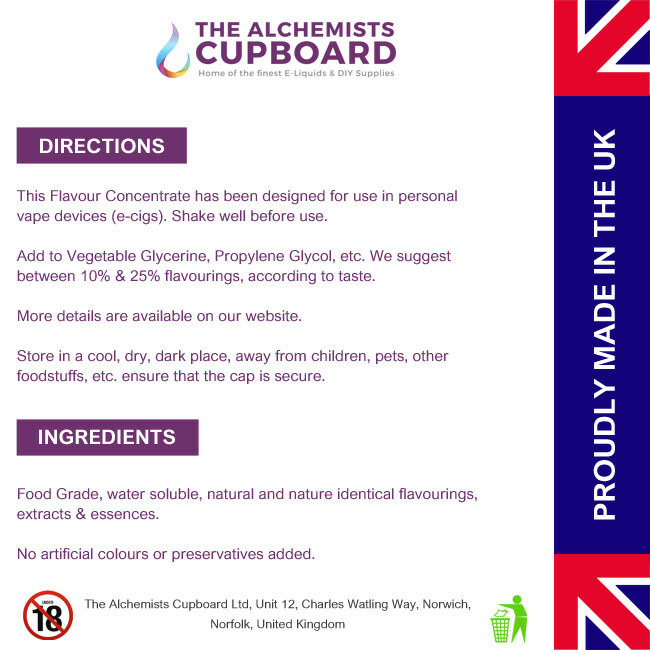 We all know the flavour this e-liquid aims to replicate, and The Alchemist thinks this achieves it very very well. 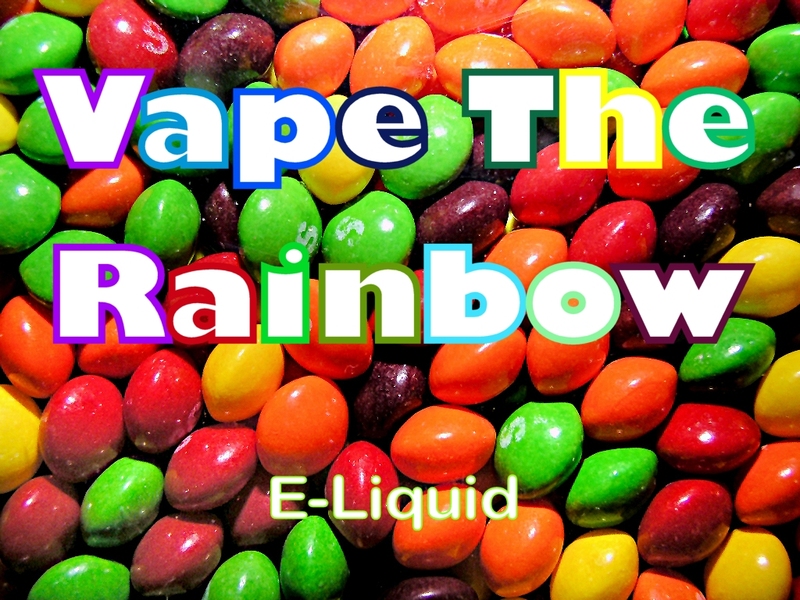 Full of fruity flavour with a sweet candy shell, it’s all there… If you like the sweets then you will love this e-liquid. 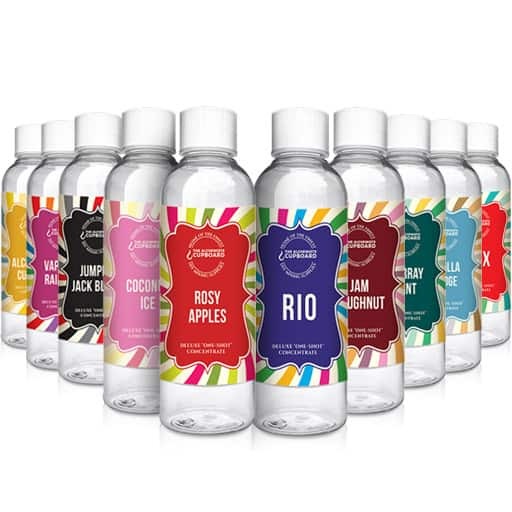 Good flavour reproduction that lasts, with a nice balanced quantity of vapour. 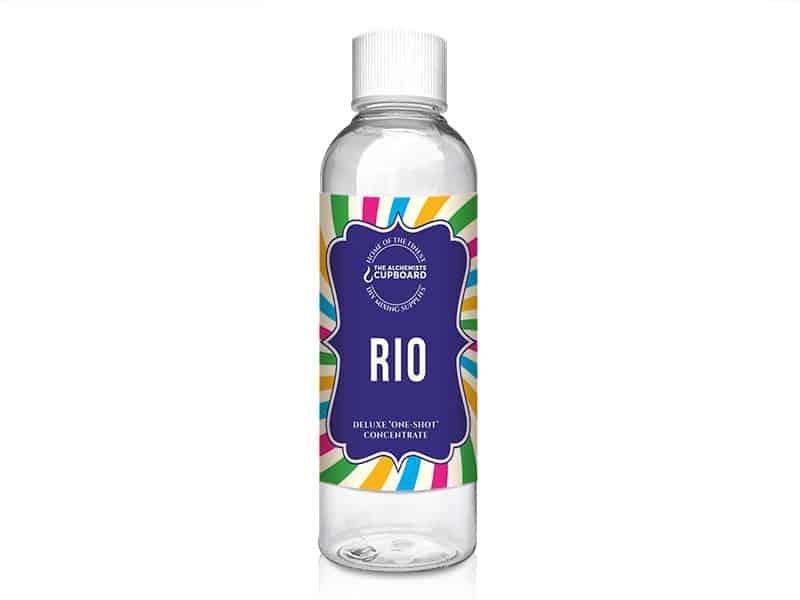 We find this liquid only requires a few days steeping to deliver and taste the flavour as we like it…. but you may like it more mature, if so… allow it to mature. If you have a variable voltage/wattage device, we advise using a mid range voltage/wattage.